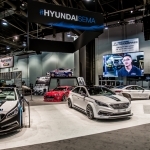 We’re always trying to figure out how to cover the crazy huge SEMA show and this year we decided to share the major tire booths in the South Hall as well as the major manufacturer booths. 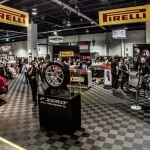 The Continental Tire booth at the 2014 SEMA Show was well represented. A 1966 El Camino with a hardwood bed (this seemed to be the thing for truck beds this year) built by West Coast Customs was front and center. Right beside that was a beautifully done up 2011 Ddoge Challenger built by Petty’s Garage. Another car I really liked at the Continental booth was Kyle Pecarovich’s silver twin-turbo V10 R8 with the carbon sideblades and rear wing that was sitting on a set of HREs. However, the most unique vehicle must’ve been the Karl Kustom Corvette Z067. 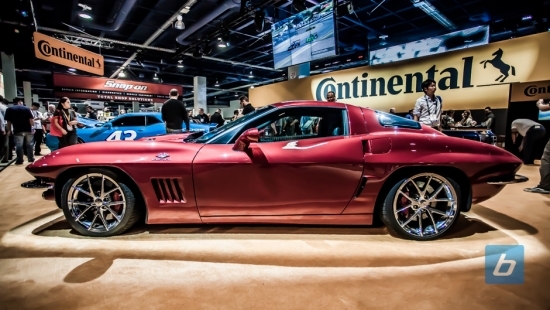 A modern corvette converted to a ’67 vette by Lingenfelter. While making our way through the booth I didn’t even notice it was a conversion, pretty unique I must say! Rounding out the booth was a white 2012 EVO X with a carbon GT wing, rear diffuser and other carbon bits as well as a 2010 International LoneStar (the big rig) byult by Chrome Shop Mafia. 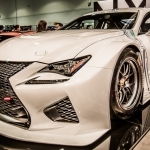 All the vehicles of course were wrapped in Continental ExtremeContact DW and DWS tires. 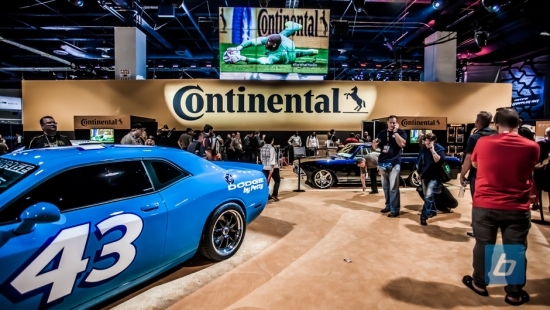 You may notice the line-up of show attendees at the Continental booth, they were there because Continental was giving away free adidas Brazuca World Cup soccer balls from the 2014 FIFA World Cup. 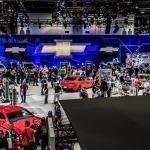 Way more pictures in the gallery below, or check out the rest of our SEMA 2014 show coverage.